My home Koh Samui: Activities, tours. 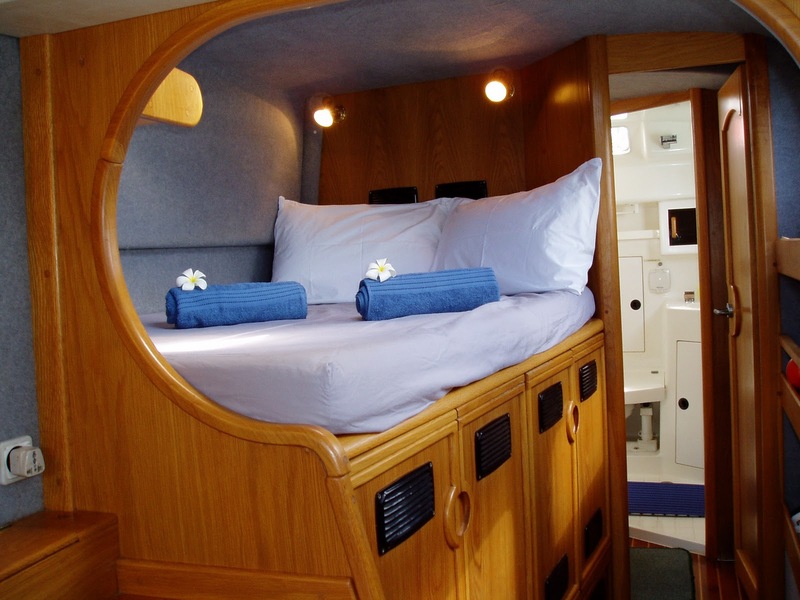 Just thought I will upload here our private yacht charter offers, in case anyone is interested. Enjoy the wind and waters and the view of the neighboring island of Koh Phangan as we sail you into the sunset. Cruising along the coastline including a stop for snorkeling on a half day trip or cruising into the sunset. Soft drinks will be served! One Day Charter around Samui or Koh Phangan (10.00am-5.00 pm). 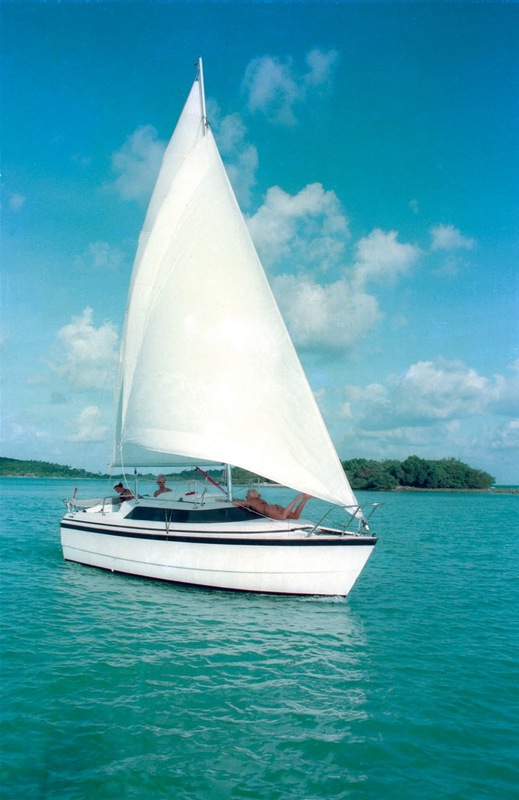 Cruising between the islands, reef snorkeling, stop at scenic bays for a swim and lunch served in a beach restaurant. Pick up time: 9.30am at your hotel. 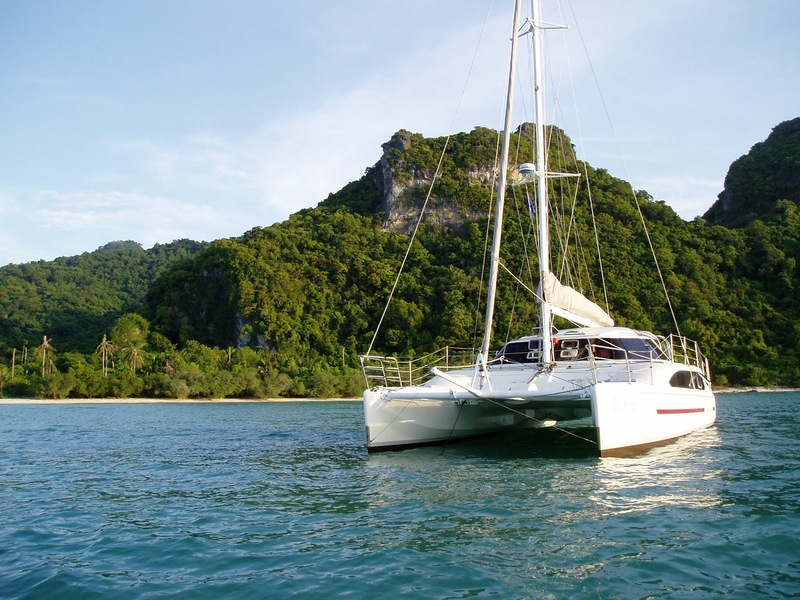 Sail to Koh Phangan, where we will stop for snorkeling in a beautiful bay. Lunch will be served in a beach restaurant. After lunch we have time to relax on the beach, go for a swim in the bay or do some more snorkeling. At around 3.30pm we start sailing back to Koh Samui. Soft drinks will be served on board during the sailing trip. Arrive back at the hotel approx. 5.30pm. 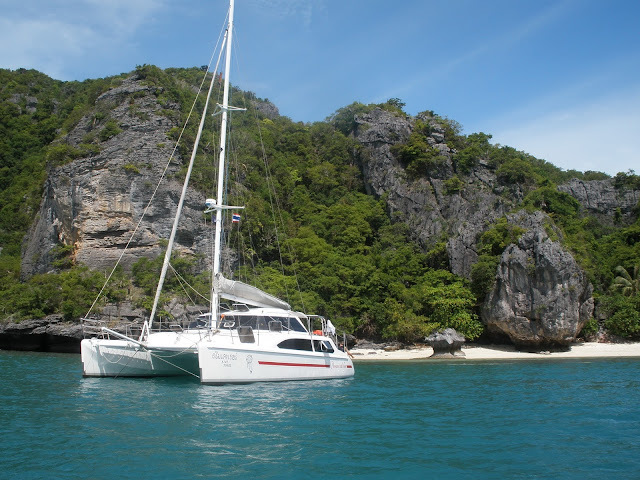 Two days sailing adventure with one night stop over in Koh Phangan. Snorkeling, view points and waterfalls are in the program! 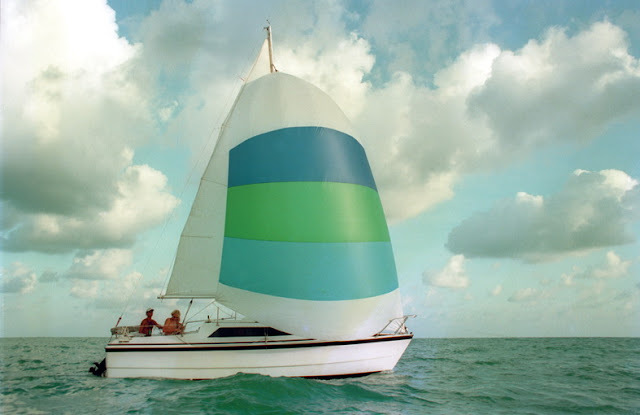 3 Days 2 Nights Sailing Safari. 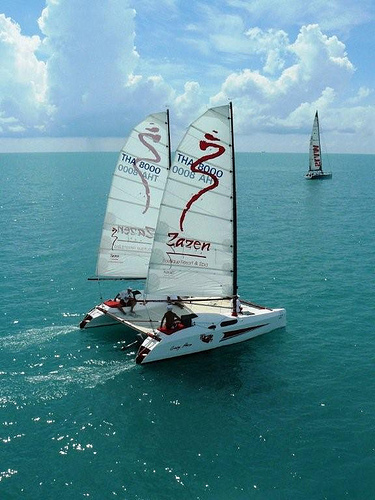 Enjoy the wind and waters and the view of the neighboring island of Koh Phangan with a as we sail you into the sunset. Cruising along the coastline including a stop for snorkeling on a half day trip or cruising into the sunset. Soft drinks will be served. Enjoy the wind and waters and the view of the neighboring island of Koh Phangan with a glass of wine as we sail you into the sunset. Snacks, soft drinks, beer and wine will be served! Cruising along the coastline including a stop for snorkeling on a half day trip or cruising into the sunset. 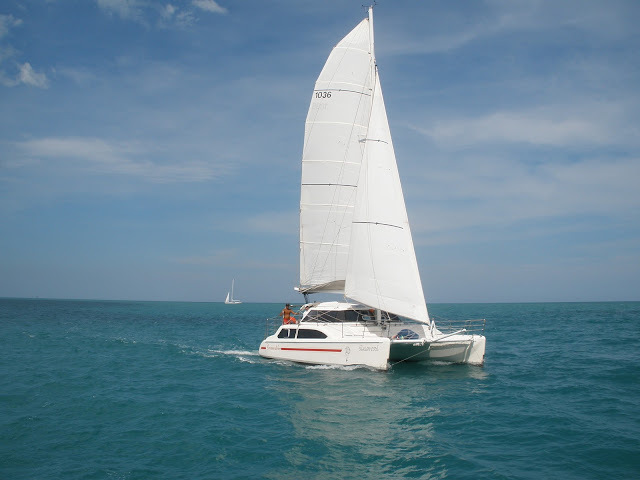 Sail to Koh Phangan, where we will stop for snorkeling in a beautiful bay. Lunch will be served in a beach restaurant or can be prepared for you on board Dreamcatcher upon request. Fresh fruit, snacks, wine, beer and soft drinks will be served on board during the sailing trip. Facebook Page "Samui Connection" inside boats photoalbums.